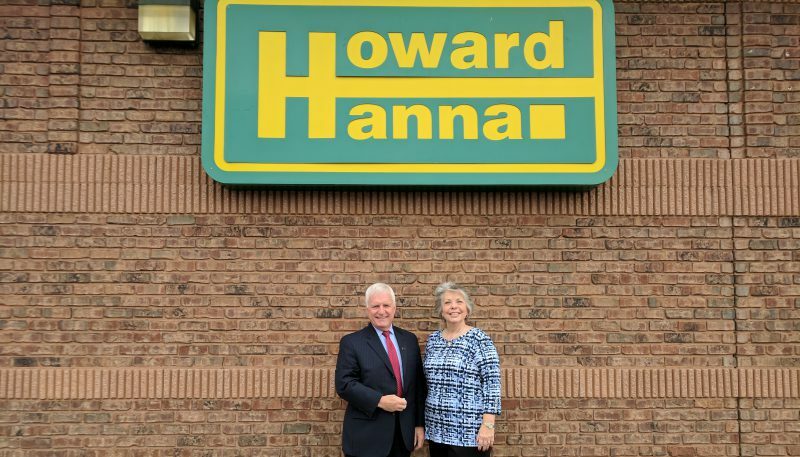 Cleveland, OH (March 16, 2018) – Last week, Howard Hanna Real Estate Services announced that Linda Rogers is the new manager of the Jackson, Ohio office. This office is located in Howard Hanna’s South Region, which is comprised of thirteen offices and 650 agents. Rogers is a graduate of the University of Akron with a Bachelor of Science and a Master of Business Administration. Since 2012, she has been a sales associate working out of the Jackson office, where she has achieved sales totaling more than $6 million and is a local real estate expert. In addition to working with buyers and sellers, Rogers has also been very active in the company’s philanthropic efforts. This includes acting as the “Choo Choo Chow Chow” chair for two years and as a Coats for Kids Co-Chair. The Ohio Association of Realtors has recognized her professional achievements by making Rogers a member of the President’s Sales Club. Her skills in communication, negotiation, training, and Howard Hanna technology will serve her well in her new role as a member of the Ohio management team. “I am honored to become a member of the management team of the third largest real estate broker in the country. As manager of the Jackson office, I look forward to helping each agent continue to provide superior real estate services to our clients as we expand our market growth in Jackson Township,” said Rogers. “One of the things that has impressed us about Linda from the beginning was her participation and helpfulness in the office. She has chaired our Chow Chow event and without prompting, worked with new agents to help them get up to speed over the past few years. She’s a true team player,” said Dennis Drennan, Vice President and South Regional Manager. “We are happy to welcome Linda to our management team. Her past experience and knowledge of the real estate industry are vast. We look forward to Linda’s energy and enthusiasm as we continue to grow in the Jackson market,” said Kristine Burdick, President of the Midwest Region. For all of your local real estate needs, or to join the Howard Hanna Team, Linda Rogers can be reached at 330-830-0969 or LindaRogers@HowardHanna.com.